Passive IT candidates are those who are not actively seeking a new job but may consider one if they motivated by a particular pain or factor you or a recruiter points out to them that could be resolved by the new position being offered. Remember, as a hiring manager, your main motivator may be money or career growth, but your candidate’s main motivation may be something completely different. This can include numerous things including work-life balance or more challenging projects. The key is to the find the right passive candidate that could be motivated just enough by the new opportunities presented to move forward with the recruiting process. Typically, there are seven main areas where an opportunity can improve a passive candidate’s job situation and as a hiring manager, you can highlight some of these areas to increase your chances of hiring the candidate you’re looking for. We are have developed the acronym CLAMPS-T to make it easier for you to remember these areas to highlight. The projects an employee will be working on and the challenges they may be tackling can be used as a selling factor for candidates who may be looking for a little more excitement in their jobs. Depending on a candidate’s current job functions, they may be intrigued by a position that offers a new environment and new challenges such as working at a start-up on all layers of an application or, on the other hand, working at a larger company with the opportunity to build large enterprise applications. Doing “new development” is also essential to good developers. If you have a new development project that is challenging and interesting, definitely try to use that to attract passive talent. You may also have a candidate looking to develop new skills professionally with a desire to work with the latest technology. If your position allows them to learn new skills on the job, they may be interested in the opportunity to build out their skills and experience. Alternatively, some IT employees are looking for a way out of management and back into development because they miss the work. These candidates are looking to keep their skills sharp and sometimes attracting current IT managers with the promise of working back in development can be key. Work/life balance, flexibility, PTO and job location are huge benefits that can be utilized when trying to attract passive candidates from their current positions that may not offer the same opportunities. A candidate making a higher salary but working 70 hours a week with no overtime may be interested in a position with a lower salary but only 45 hours of work per week, giving them an extra 25 hours to spend with their family or doing side projects to earn extra cash. Likewise, a candidate living in Fort Worth but commuting to Plano every day is likely to be interested in a position you are offering in Fort Worth just so they can avoid the morning and evening commutes and save themselves time and money in the end. The ability to work remotely, whether it’s once per week or full-time, is also a huge benefit in the IT industry, as is offering a flexible work schedule. Allowing employees to develop a schedule that works best for them can really open some candidates up to consideration. Dress code (or lack thereof) is also an important factor for employees in IT. A company that allows candidates to wear comfortable attire such as jeans or flip-flops can be a seller because IT professionals really prefer not to be developing in a suit all day. Paid time off can also be leveraged with passive candidates. Temporary employees for example, in addition to paying out of pocket for their own health insurance also miss out on about 22 paid vacations days per year. A benefits package with vacation days rolled in can look very attractive to employees who aren’t currently receiving those options. The ability to advance technically or move into a management role is something many candidates are looking for in their careers. If your company has a pretty clearly outlined growth plan or advancement options for employees, they may be more inclined to leave a company for yours if they know in two years they could get a promotion for example. Sometimes in SMB’s, it can be more difficult to develop an advancement plan for employees right away, but if you have one, it’s a good idea to use that when trying to attract passive candidates. A passive candidate could also be interested in moving into a position where they are presented with the new challenge and opportunity of managing a team or projects. Some are so interested in job titles they are even willing to move laterally or take a reduced salary if given a higher-level title such as “Team Lead” or “Assistant VP.” The opportunity to mentor junior developers is also very attractive to some IT professionals. This one is obvious. Along with opportunities for advancement, candidates are often very motivated by money. If you have a position offering a significantly higher salary than what they are earning now, you can easily grab their attention. It is crucial to offer a competitive salary relative to the market, but remember money is not the primary motivator for everyone. When recruiting a temporary candidate, make sure you discuss PTO and other benefits, as mentioned above, as part of the entire deal. For passive candidates who may be open to a contract opportunity, you can use a higher hourly rate as an advantage. Someone who makes $90k per year may be really attracted to a $50/hour bill rate. However, with a contract-to-hire position, you want to make sure you pay them enough to retain them but not an amount that will deter them from converting to a full-time employee due to the higher temporary pay. For example, if you have a role paying $85k on a full-time basis, you do not want to pay them $60/hr. In that situation, you wouldn’t want to pay more than $45/hr. Just as lifestyle and location can be a draw for someone, company culture and team fit can also be a significant consideration for a passive candidate presented with a new opportunity. A candidate may enjoy their job but is in an environment where they are by far the youngest person in the workplace or perhaps the oldest, making it sometimes hard for them to click with their colleagues. The people they work with all day every day are important for job satisfaction. Companies that have team building activities, happy hours, play sports together, etc. can also be a big lure as it fosters team bonding, and a good company moral. Someone currently working for a terrible boss, who makes their job hard to do or their days long and miserable has a substantial reason why they would want to leave. Giving passive candidates an opportunity to understand a new company’s management style and company culture can help them decide whether or not the position is worth considering. Since technology professionals are in such high-demand right now, this may not be as big of a selling factor, but it is important to show company stability to those who may have been in positions with a lack of job security in the past. Air on the side of caution with candidates who have been “laid off” numerous times, however, as companies do not lay off their strongest resources first. If you hear of layoffs at a particular company, use this to your advantage to find eager candidates who are looking for a more stable company to work for. 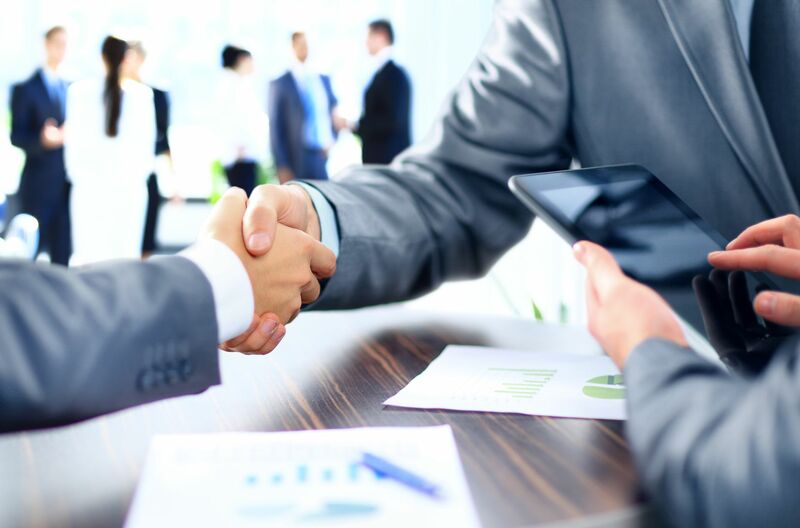 Additionally, a company acquisition can create instability within a company because in many cases, the acquired company’s resources are let go because employee skill sets overlap with the acquirer’s current staff. The technologies a company utilizes is often a huge advantage or disadvantage to a candidate. A .NET candidate who is on an older tech stack such as .NET 2.0, COM, DCOM, SQL Server 2000, classic ASP, etc. is now obsolete and their market value is regressing dramatically. New versions of software come out every 1.5-2 years so you can see how important it is to stay somewhat current. If you are leveraging some of these techniques but are still not finding the talent you are looking for, consider hiring a specialized IT staffing firm such as Agile Premier. Learn more about how Agile Premier’s staffing solutions can meet your needs by setting up a free consultation today. Sign-up here.